SHOW US WHAT YOU MAKE OR SELL!!!! So if you have a small business or easy shop - tomorrow is a day for you to link up!!! And everyone else come shop until you drop!!! Yesterday I got to meet up with Caroline for lunch. Her 7 year old daughter took our picture!!! Caroline's parents go to my church and she was here for spring break so it was fun to get together. We went to Chuy's. Hello creamy jalapeno dip! She has FOUR beautiful kids and they were so well behaved. And color coordinated. My girls were in preschool and I hate they missed out on meeting them. 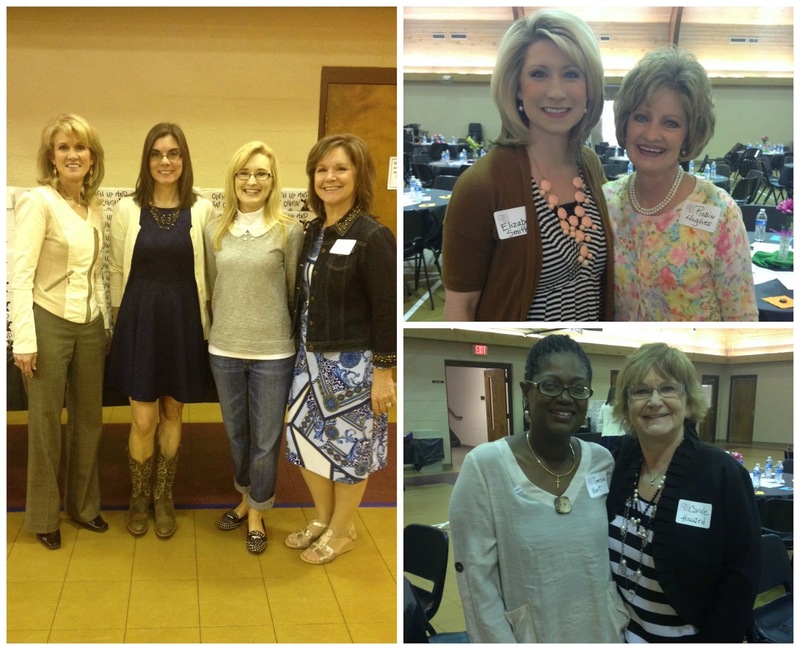 Our church has had a lot of events this spring focused on marriage and things for women and men. Today we had a luncheon that we hoped would target a lot of working women. We had Chickfila lunches and my friend Susan Goss spoke. It was great. 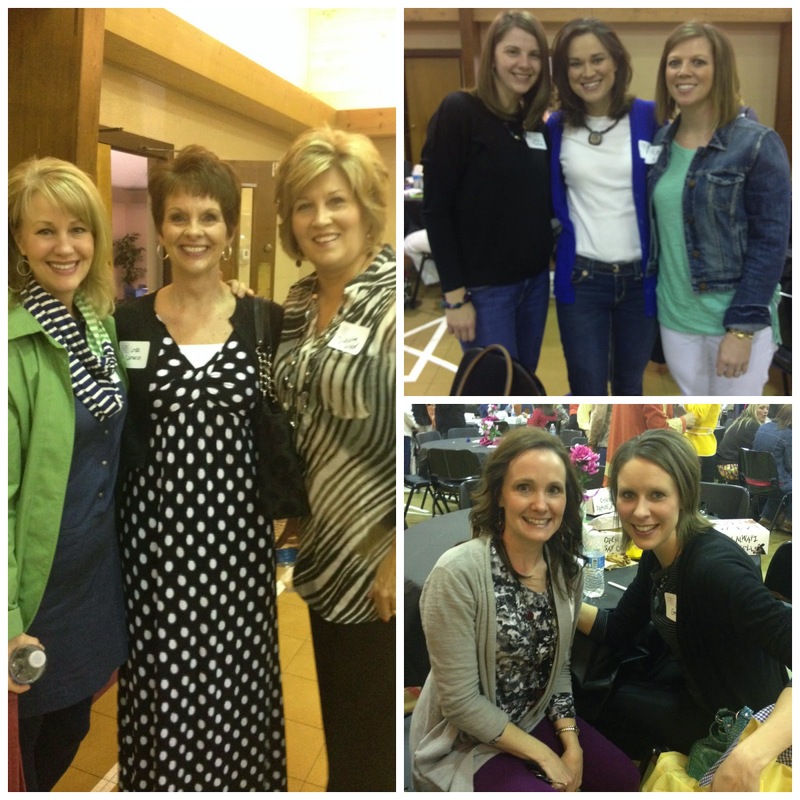 We had over 150 women attend. 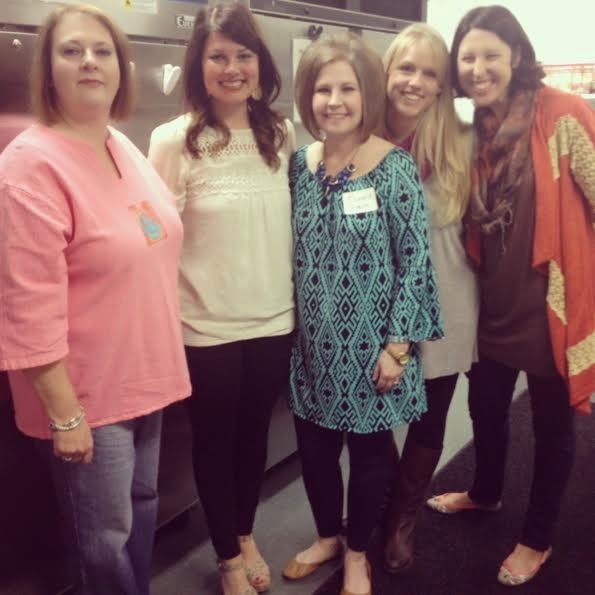 I LOVE being on our women's ministry team and getting to help with events and outreach. More of our ministry team. They are so fun to work with and pray with and grow with! Of course I ran off and forgot my camera and my phone battery died so I only snapped a few pics of women there. But we had a great crowd and probably half were not from our church so that was great! Today is the first day of spring and it almost 70 degrees and we are enjoying the sunshine before we head to speech therapy. Thankful to get my girls outside to run their little legs off every chance we get now that warm weather and longer days are here. Can I get an amen?